We’ve finally reached the forth and final full week of January and as always, it’s felt like the longest month in time. With that, nothing too exciting has really kicked off – we’re starting to grasp the term “January blues” We’re all a bit skint, cold and bored, so let’s look ahead to some pretty exciting stuff that’s coming our way in 2019. Get ready to give Disney all your money next year with a blockbuster line of films to be released in 2019. Disney kicked off the surge of classic remakes in 2016 with their iconic Jungle Book film – originally released in the 70s. Thankfully they didn’t leave it there. Beauty And The Beast was released in 2017 and now, following in the footsteps of the Jungle Book, we’re on the countdown to the live action version of arguably the greatest Disney film of all time; The Lion King. The teaser was released a couple of months back and it didn’t give away too much, just created a load of suspense. They finally announced that Lion King will be released on July 19th. Dumbo is one of the oldest Disney films and a pure classic that truly tests all emotions. Yeah, this one is a heart-breaker. The live action of the 1941 classic is the earliest of this year’s releases, arriving in cinemas March 29, 2019. Tim Burton is the man tasked with bringing the loveable elephant to life. If you’re a fan of Disney and was brought up with the “classics” then you need to get on the hype. We’re thinking it and i’m sure a lot of you guys are too, what are we going to do with our time when GoT ends for good? Probably start the season again, right from the glory days of… Well, I’ll not give anything away for those of you who (for some reason) haven’t watched it yet. The finale hits our TV screens on the 14th of April and i’m certain we’re not going to be disappointed. The show is arguably the most shocking series on TV – SPOILER ALERT – don’t get attached to anyone, it could break your heart. If you’re yet to open every single emotion you have to this show, brace yourself and do it. You’ve got time before the show’s finale in April! Netflix’s Stranger Things season three was a dead cert even before the second season dropped to widespread hysteria in October 2017, and the company made it official late last year. Although it looks like we’ve got a pretty long wait until its release, there’s a lot to look forward to. The third season is set to drop on 4th July. 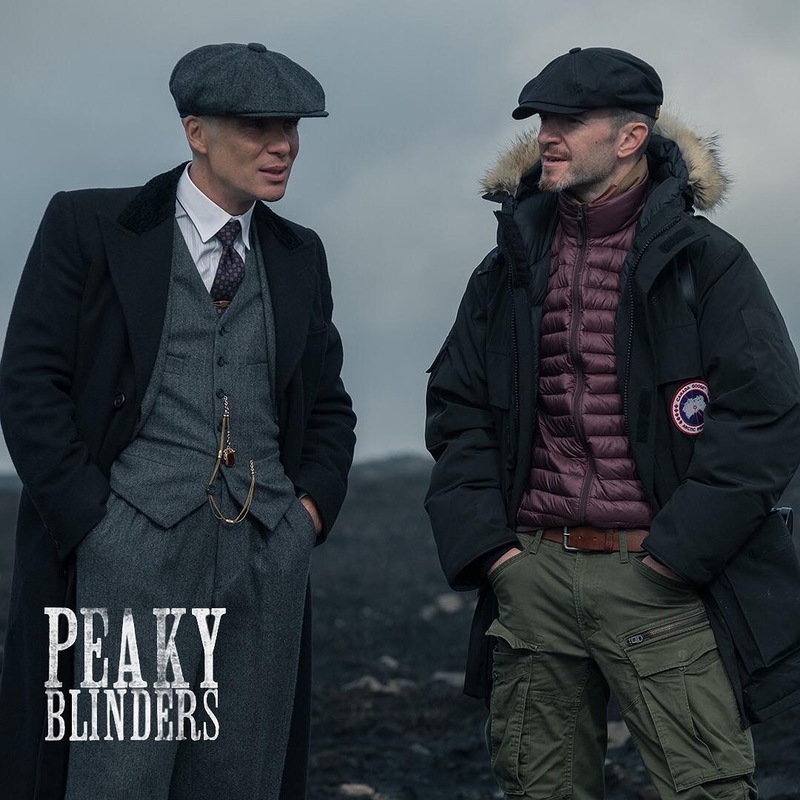 Peaky Blinders season four came to a typically epic finale (in 2017!) but what does the future hold for the Shelby’s and his empire of crime? Thankfully we don’t have long to wait to find out! The insanely good TV show is due to hit our screens with a new season this summer, however there isn’t a confirmed date yet. If you haven’t jumped on this yet, trust me, you need to. Backstreet’s back… for UK concerts! Backstreet Boys are currently living it up in Las Vegas whilst working on their Backstreet Boys: Larger Than Life single but they’ve decided to leave the sun behind them and head back to where they belong. The tour will kick off in sunny Manchester on the 10th June, followed by Glasgow on the 14th, Birmingham on the 15th, then finally London on the 17th June. Happy 25th anniversary to all of us, ay? 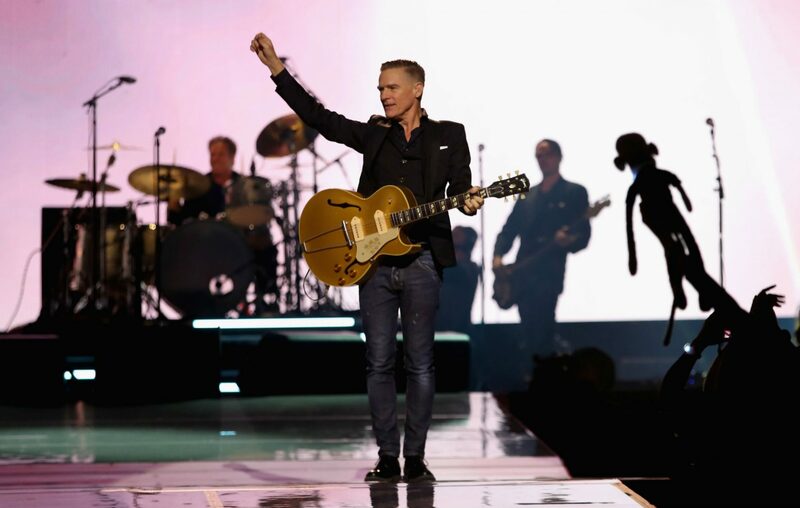 Following a successful string of shows in 2018, rock legend Bryan Adams has announced he will return to the UK for a 6 date arena tour in 2019. He’s set to play in Belfast, London, Sheffield, Nottingham, Liverpool, Cardiff and Bournemouth, kicking off in just a months time, 25th February! 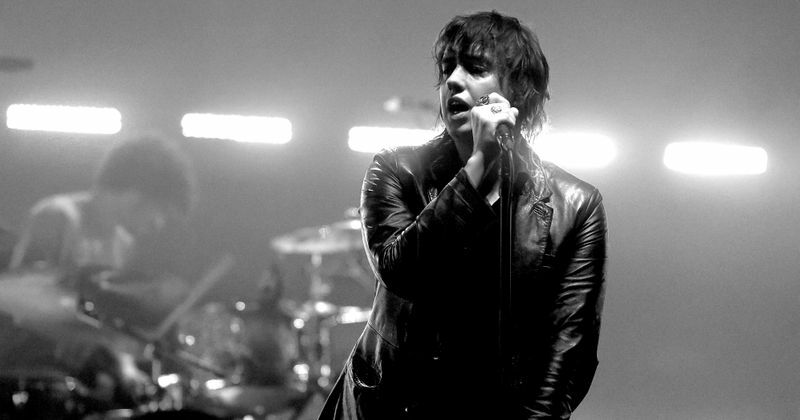 The Strokes announced their first live date of 2019 at Bilbao BBK Live Festival in Spain this July and teased us all with a very lose promise that the set will “kick off their global comeback” More 2019 dates are to be announced soon! Try to relax. 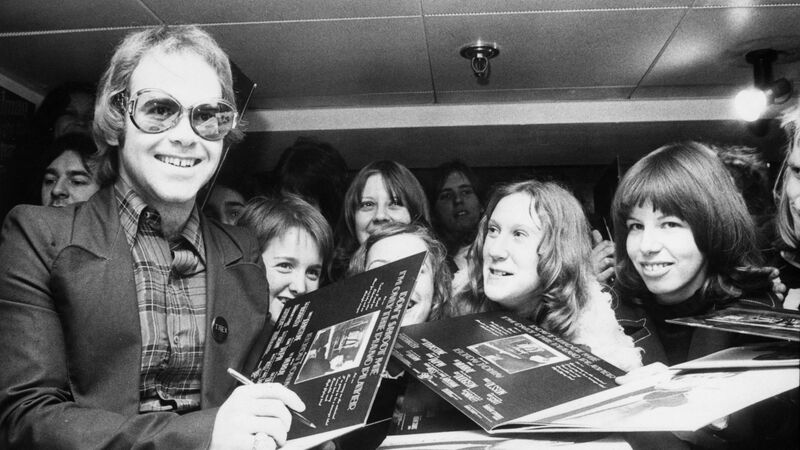 After more than half a century on the road and an unparalleled career, Sir Elton John has announced his final ever world tour called ‘Farewell Yellow Brick Road’. It’s going top be an emotional one when he returns to play a string of dates in the UK in 2019/20. The tour is to kick off in June 2019 in Hove. To be fair, it’s going on a bit so no need to get emotional just yet, the tour wont end until 2020. 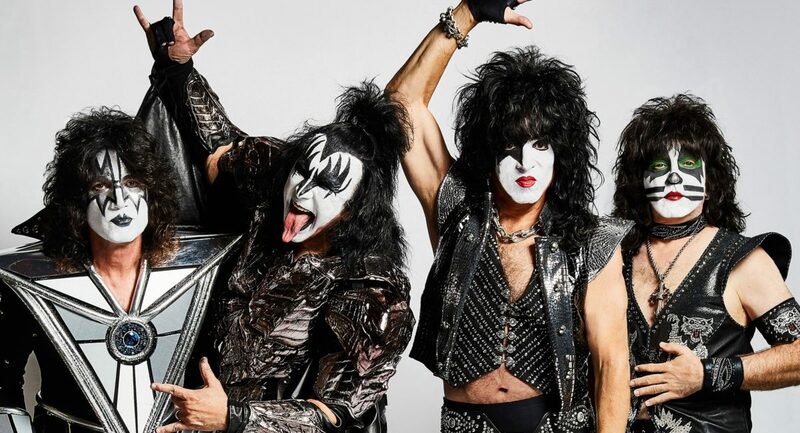 It’s the end of an era, KISS have been one of the greatest rock bands for the passed 40 years (wow) and their quality hasn’t changed much since their first album in ’74. Unfortunately they’re knocking on a bit. This quote from an interview between ktla and Gene Simmons is class, and it really puts it in perspective! The tour is to kick off on in February and comes to the UK in July. After years of planning, the Men in Black film franchise will move forward, with the release of the fourth MIB film coming to cinemas this summer, starring Chris Hemsworth and Tessa Thompson. Although the trailer features references to the Smith and Tommy Lee Jones films, the duo are not expected to appear in the upcoming spin-off. I’m sceptical. Taking inspiration from Sergio Leone’s 1968 western, the ninth film by Quentin Tarantino sees Brad Pitt and Leonardo DiCaprio navigate their way through the film industry circa 1969. Let’s be honest, these are brilliant films – if we forget about Once Upon a Time in Venice (sorry Bruce) and one surely is to be no exception. It’s is definitely something to look forward to – the first full-length film Pitt and DiCaprio will have worked on together for one. This will be hitting cinema screens on 26th July. The countdown is on. The revolution begins here. Marvel’s first solo female superhero film is about to change the game – starting Brie Larson, Samuel L Jackson and Jude Law, is hitting UK cinemas on 8th March. This is the next Marvel film to hit our screens and it should be a belter. The first trailer arrived on December 7 2018 without any tease or official announcement, confirming the title. While the trailer didn’t give too much away, it did lead to another host of theories about what might happen in the movie, such as whether we’d see Captain America make a heroic sacrifice to save the day. Anyway, not long to wait. Avengers: Endgame will come to cinemas on 26th April. That’s right, another Toy Story is heading our way! I can’t image there’s a single person out there who isn’t a fan of the Toy Story trilogy and if there is, I don’t want to know about it. Channel your inner teen and head to the cinema on 21st June. There you have it. It’s not going to be such a bad year is it? Now it’s time to freshen up your wardrobe, we’ve got you covered on that too! We’re all over it.